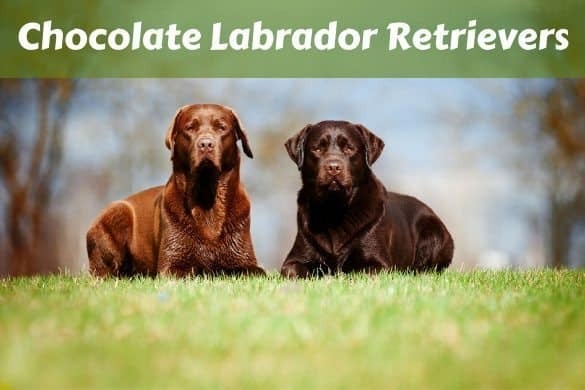 Home LABRADOR TRAINING	House Training: The Ultimate Guide! Probably the highest priority thing every owner has on their list of things to do is house training their dog or puppy. Teaching a dog not to toilet in the home, or if they must then to do it in a very specific planned out place, is extremely important for every owner, for very obvious reasons. A dog that toilets anywhere they please creates an unpleasant mess, an even worse odor and is very unhygienic! So are you expecting a new puppy and learning how to house train them before they come in to your home? Or maybe you already have one that keeps on peeing on your carpets and you’re looking for advice on how to stop this? Or perhaps you have an older dog that still makes the occasional mistake around the house, or a male that’s reached adolescence and has started ‘marking’ your furniture and you just don’t know what to do? Whatever your situation, if it’s related to house training a dog or puppy, either starting from scratch or trying to fix a problem in a previously house trained dog, you have certainly come to the right place! There are many ways to go about house training and a quick Google search will turn up many techniques. However, some are outdated and are harmful to the relationship between you and your dog. This guide will teach you modern, humane, positive based techniques to house training that make you work with your dogs natural instincts and tendencies and will actually strengthen the relationship between you. There will be no shouting or nose rubbing here! Before we start, please know that your dog or puppy can only learn the house training habits you decide upon and train them to do. Whether outside or inside, in a specific spot, on pads, newspaper or in a litter tray, whatever you train them to do, that’s what they will learn. 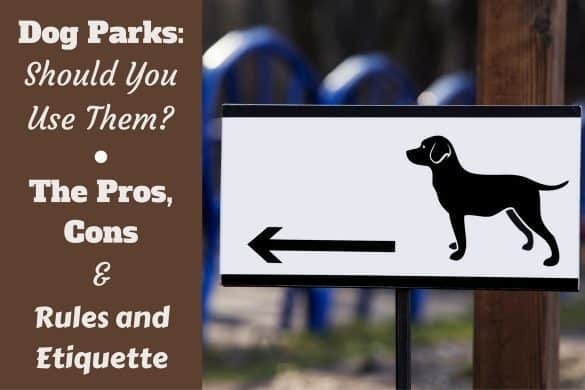 And this guide will discuss all possibilities and help you train your pooches toilet habits, whatever it is you decide for them. I’ve planned this guide to be as detailed and complete as I could make it, so it can be used from start to finish as a comprehensive guide, but also as a reference for people seeking a specific piece of advice. 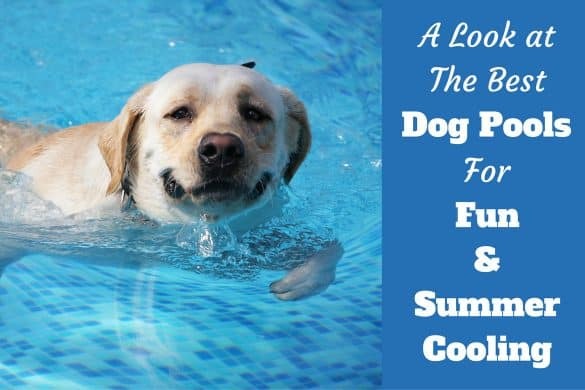 It’s designed to help you teach your puppy acceptable toilet behavior right from the start, help prevent your puppy ever developing bad toilet habits in the first place or to solve any problems that an older dog may already have or lapsed into. This house training guide will give you all the facts, tips, tricks and techniques you could possibly need to make the house training process as pain-free, quick and effective as possible. 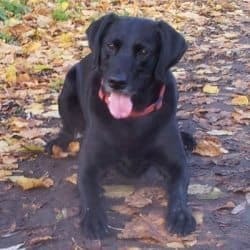 Because the techniques to house training are universal, and from the questions I receive I know owners of many breeds read this site, this guide isn’t exclusively for house training Labrador Puppies. Everything written applies to any dog of any breed, they can all be house trained the same. So here’s how I’ve organized this guide and how you can use it. 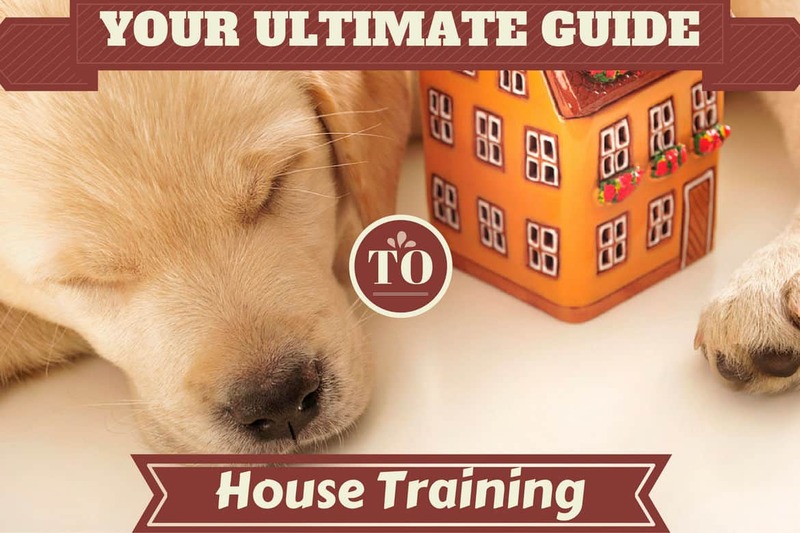 If you are a ‘first time house trainer‘, follow this guide from start to finish taking in every article along the way and it will teach you everything you need to know to successfully house train your puppy or adult dog. By reading this entire guide you will pick up all the tips and techniques you possibly can, learn the subject inside out and can enjoy the peace of mind complete knowledge of the process and subsequent speedy success will bring. However, each article is listed below with a description of the contents so if you already have some knowledge, have a specific area you need to research or a particular problem you’re trying to solve, by all means skip right to the article that best suits your needs. This guide can be used as a reference to dip in and out of. For many people there may be no need to read the entire guide. In order to cover the subject fully and provide all the information I think is truly needed, the guide has had to be quite long. So to make it more manageable and easier to find specific pieces of information, I’ve broken the guide down into 11 distinct parts that each cover specific related topics. Choosing to allow your dog to toilet inside, outside…or both. Click here to learn the basic facts you should know before starting. This article discusses the general attitude you need to take and how to prepare yourself for the house training process. How it used to be done and why it’s wrong. Why you shouldn’t allow your puppy full run of the house. Click here to learn the mindset and approach you need to take for success. Click here to learn about the products and tools you need for house training. 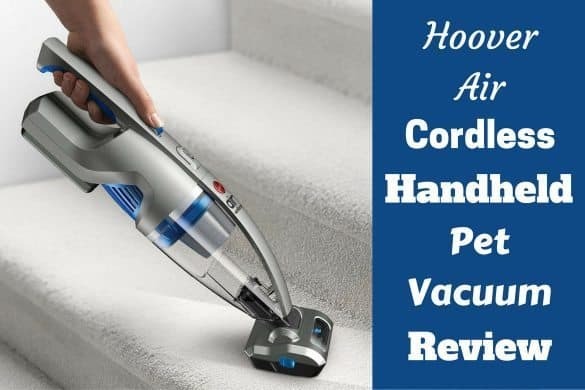 This article describes how to remove pet stains and odors thoroughly, why it’s vitally important to your house training progress that you do and the attitude you should take toward your puppy for any accidents that do happen. How to change food brands if you need to…without upsetting your puppy’s tummy. How does a crate help in the house training process? What natural canine instincts and behaviors does a crate take advantage of for success? How a crate teaches a puppy bladder and bowel control. The benefits of confinement when you cannot supervise your puppy. The things you shouldn’t do and how NOT to use a crate when house training. Preparing the crate for house training success. Click here to learn how to use a crate to house train a puppy, and how and why it is so useful and effective. NOTE: Please see the following articles for how to choose the right crate, crate training a puppy and crate training an adult dog before attempting to use a crate. Some people either do not want to, or due to their dog’s personality or history simply cannot use a crate during house training. In this case, there are other methods, one of which is ‘Constant Supervision’ house training. How the method works and what a trainer is required to do. What equipment this method requires. Who the method is best suited to. How hard or easy the method is when compared to others. Click here to read the details of the constant supervision house training method. This article discusses the house training method of paper training. It’s a very commonly used and fairly easy technique that in certain situations is simply unavoidable and must be used, but it isn’t always the best way to house train a puppy if you can avoid it. Who should use the method and why. How it’s a good fall back plan that almost everybody should use at some point. What products and tools you will need to train this method. How to paper train your puppy in 6 easy to follow steps.  How paper training is a comparatively easy method to reach success. The many disadvantages to the method and why you should concentrate on other methods, using paper training as a fall back..
Click here to learn how to paper train your puppy or dog. If you don’t ever want to confine your puppy, but would find constant supervision too difficult, umbilical cord house training is the method for you. Although it can also be used alongside all other methods to create a truly powerful house training program indeed. What is umbilical cord house training? How difficult or easy is the method when compared to others? Who is the method most suited to? A step by step guide to the basics. Click here to learn all about umbilical cord house training. Why limiting the size of a puppy’s world is essential at first. Establishing a feeding and elimination schedule. The times of day your puppy will likely need to toilet. Learning from your puppy the signals they’re ‘about to go’. What to consider when picking a toilet area, either inside, outside…or both. House training step by step. What to do with your puppy when at their bathroom spot. What to do with your puppy between toilet visits. What to do during the night. What to do with puppies under 3 months old. What not to do and things you should avoid. Adding cues: Teaching your dog to eliminate on command. And much more besides! I really put my heart and soul into this guide, taking weeks to put it together and it came out at a whopping 14,000 words! I’m pleased with the result and am sure it will help many people and their puppies. 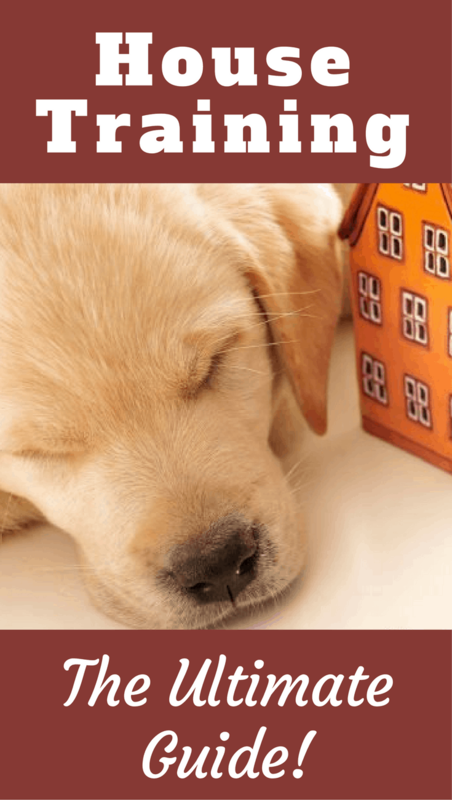 Click here for one of the most detailed and complete guides on How To House Train A Puppy. Is there a difference between training a puppy and an adult dog? 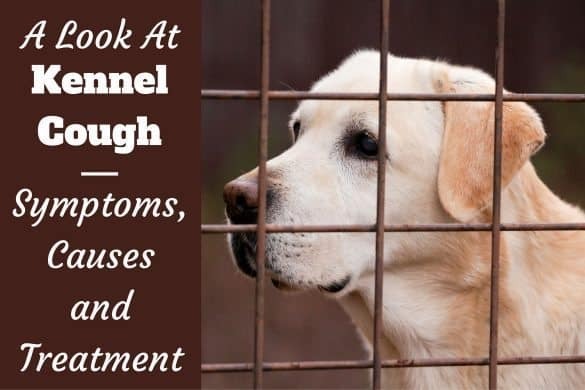 How to investigate the possible reasons for your dog toileting in the home. Medical issues, dietary issues, environmental reasons and behavioral issues leading to mistakes. How to treat the common issues leading to inappropriate toilet habits. Click here for help and guidance on House Training An Adult Dog – And Solving Common Issues. A lot of people see house training as a very hard thing to do. And a few that go into the process with no guidance or knowledge ultimately end up failing. And it’s a sad fact that many dogs abandoned to shelters end up there due to owners not being able to cope with a dog that toilets in their home. When you know what your pet needs to do, what’s required of you and how you can work with a dogs natural instincts and tendencies, the process is actually quite easy. The thing to understand is that a house trained pet is simply one who can control their natural urges and then toilet when and where you want them to with your help and directions. And this just takes a little time, effort, patience and knowledge of how to guide them is all. This guide teaches you just that. Read the information, absorb it, act on it and soon you and your dog will be living cleanly in your home and their toilet habits will be exactly as you planned. Good luck and here’s to your success! A Labrador puppy should be with it’s mother until 8 weeks of age, you have him awfully young which isn’t the best start in life for him! Regarding the weight, It’s hard to say and will vary from puppy to puppy, but he should really be up around 12 to 15 pounds or so (1lb at birth, add 2lb a week for the first few weeks roughly) so does sound very underweight and is only about half where he should be. Have you had him checked by a vet? Sometimes a puppy can get parasites from their mother. And there may well be other health problems. Hopefully he is sound of health and will catch up with weight gain soon enough but there’s no way I could possibly say I’m afraid. The fact you are worried about it (rightly) and the fact he does sound very small, please seek advice from a vet please so he can be properly evaluated by a professional. That’s excellent news Joey! I’m glad all’s well with him.